Lighting a Fire: Saturday Sayings! 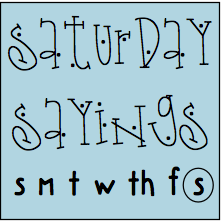 I am back with another edition of Saturday Sayings! If you are just joining me, then allow me to introduce my Saturday Sayings club! Tammy at Forever in First, Lori from Conversations in Literacy, and Sandra at Literacy Minute are also posting their own Saturday Sayings today. Tammy came up with this delightful idea and we thought it would be fun to link up and reflect on Saturdays. Be sure to stop at their sites and see what they are thinking about this morning! Go back to the basics first to ensure that students know the role of numbers and operations concepts. For example, in 6 x 7 we often teach the students to think of 5 x 7 and then 7 more. This works if students can count on from 35 to 42 but often, they resort to using their fingers or the number line. It would be more effective if they could think 35 and 5 more is 40 and 2 more is 42. Develop strategies for fact retrieval. Strategies that can be done mentally, and, the quicker the better! When it comes to multiplying by 2, if the students aren't solid in their doubles facts- or understand what doubling means- they will resort to counting on their fingers (or toes) to solve this basic problem. These strategies should be explicitly taught. Provide practice in the strategies that have been developed. It seems fairly straightforward. I think that it will help the students with an awareness of numbers and how to retain the basic fact knowledge. What do you do to help your kiddos master those basic facts? Any suggestions would be helpful! Is that Van der Wall you're reading? I'm reading his book for K-3. I've been in the midst of thinking all these things for my grade level too. You are not alone. I think we're heading in the right direction though. Great post! It is Van der Wall! I agree- it feels like we're on to something! All the different ways we can get students to look at numbers and increase their awareness of numbers helps. We have the same struggles at our school too! It's nice to know that my school isn't alone! 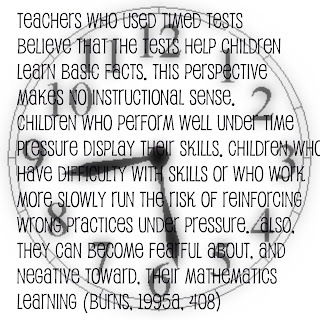 I think timed tests (CBM's) that are used for progress monitoring are okay. But, I wouldn't give just any timed test. I would want to gain reliable information. Students have to learn the facts. I like to sing and move to help memorize. It uses all the senses. I like to take a plastic beach ball and number 1-12 (or less) on the ball. Pick a number to multiply by and toss the ball around the room. Whatever number they get, they multiply by the number you selected. If a child is really struggling and would be too embarrassed to play, give them a multiplication chart to check the answers. Hope that helps a little! Just found your blog. 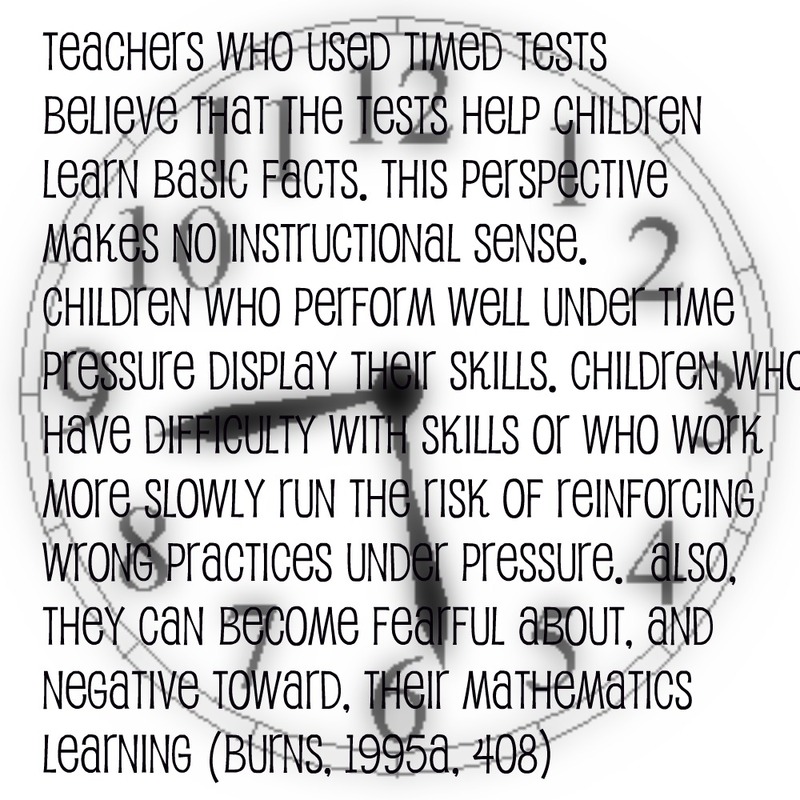 I know I struggle with timed tests so this gives me food for thought. I teach 3rd grade too. Stop on by and visit.